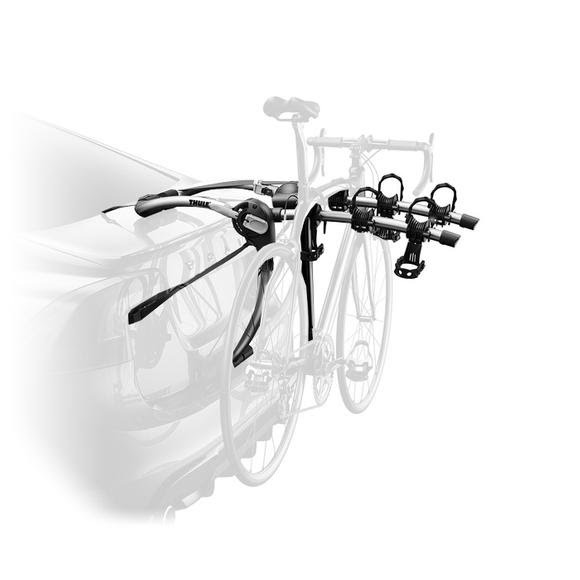 Hold Fast Cradles cushion your bicycle and provide maximum security on Thule's 9007XT Gateway 3 Bike, a robust bicycle carrier that also folds for easy storage. Hold Fast Cradles cushion your bicycle and provide maximum security on Thule&apos;s 9007XT Gateway 3 Bike, a robust bicycle carrier that also folds for easy storage. New Hold Fast Cradles with anti-sway cages cushion the bike and provide maximum bike security. Patented FitDial with Quick-Fit lever adjusts to your vehicle providing a perfect fit. Cinch Lever allows the bike arms to adjust independently and easily for unique bike frames.